Dr. Katt and his evil Feline Hoard have taken over the world and imprisoned your Doggy friends. As Charles "Chocks Away" Worhtington-Smythe, it's your duty to fly into enemy territory and show those pesky Katts a thing or two. With fantastic cartoon-style graphics, humour and excitement along the way, see just how far you're able to get Charles in this great fun game! 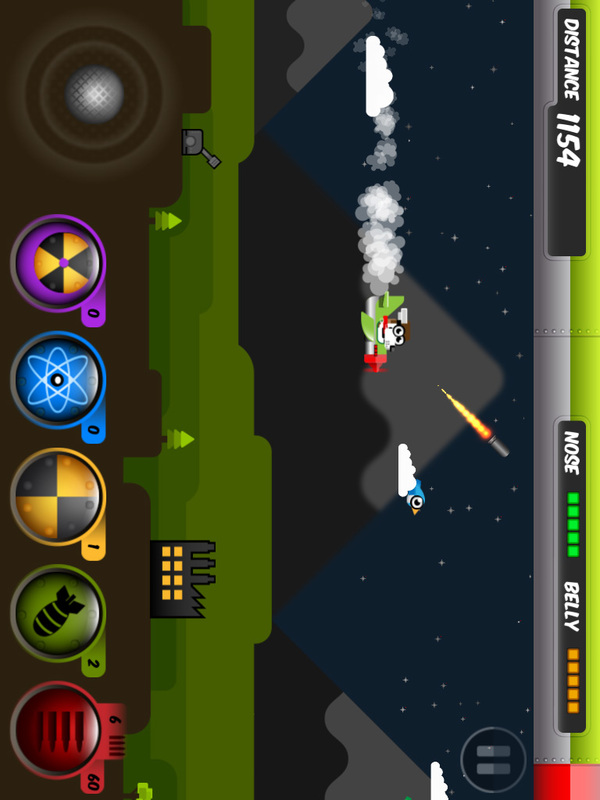 Dodge, shoot and bomb your way through enemy territory! Great graphics, great fun and lots of laughs along the way! The Feline race has rallied behind their charismatic if not evil-looking leader, Dr. Katt. They've imprisoned your Doggy friends and it's now up to you, Charles "Chocks Away!" Worthington-Smythe to step into the breech and show those cats your stiff upper lip! Challenging to play, you must decide whether you wish to shoot everything or bomb everything or, well, just keep well out of the way! Complete objectives as you play to boost your score and remember, you need to avoid Friendlies to prevent penalty points! Available on the iOS App Store now!